So I’ve headed south to Cape Town for a bit of Southern Hemisphere summer and family time. And of course a chance to sample all the delicious food. Cape Town’s restaurant scene is fabulous, the range of great produce available is mind-blowing from delicious seafood, the freshest of fruit and veg, flavoursome meat and of course a wine industry to keep even the most demanding of wine lovers satisfied. How could I not share all of this with you? Welcome to Cape Town. First up, an old favourite in the lovely V&A Waterfront. Harbour House has wonderful fish options and my advice to you would be don’t spend too long pondering the menu which is packed with delights, until you have been told the day’s specials. You’re bound to change your mind several times – this is one tough decision-making challenge. One I’m more than happy to take on. 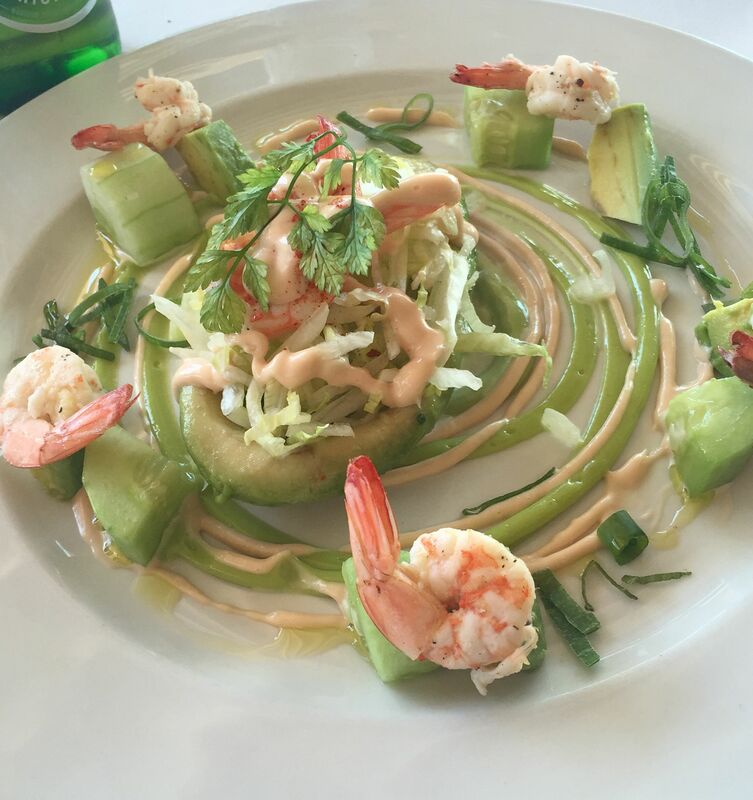 An updated version of a classic, the avocado ritz is a plate of beautiful greens and pinks with plenty of prawns and beautifully creamy avo. 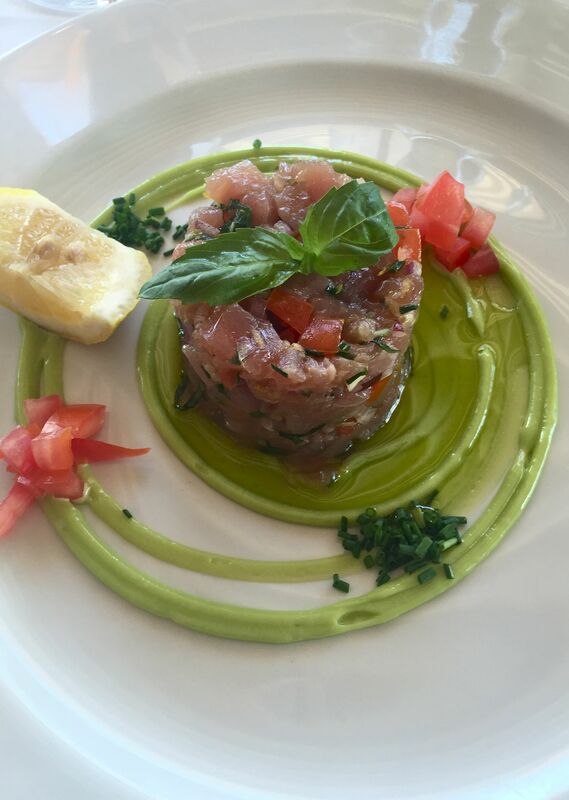 My tuna tartare was the absolute freshest, beautifully tender chopped tuna with a spicy mayo. A wonderfully light starter for a hot summer’s day. 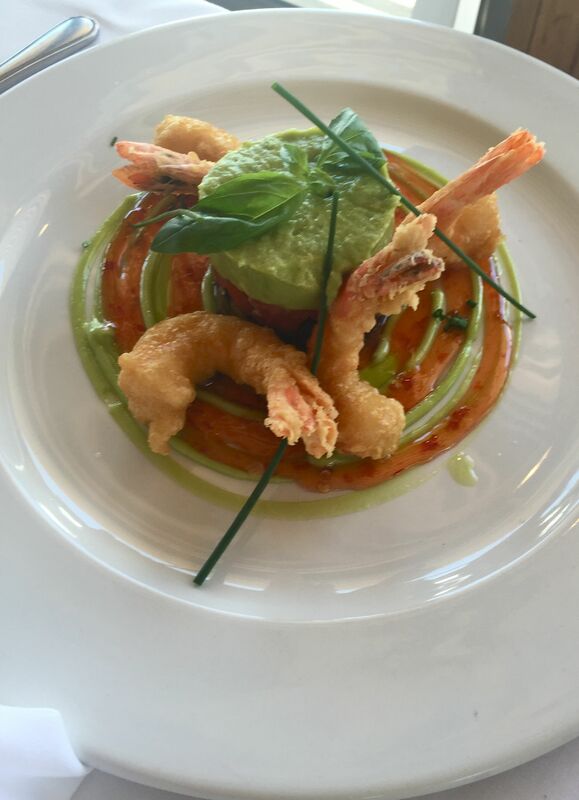 The tempura prawns comes with an aubergine and avocado tian. A wonderful creamy combination to go with the fishy, crunchy prawns. There are also a selection of meaty dishes on the menu which the restaurant does really well. 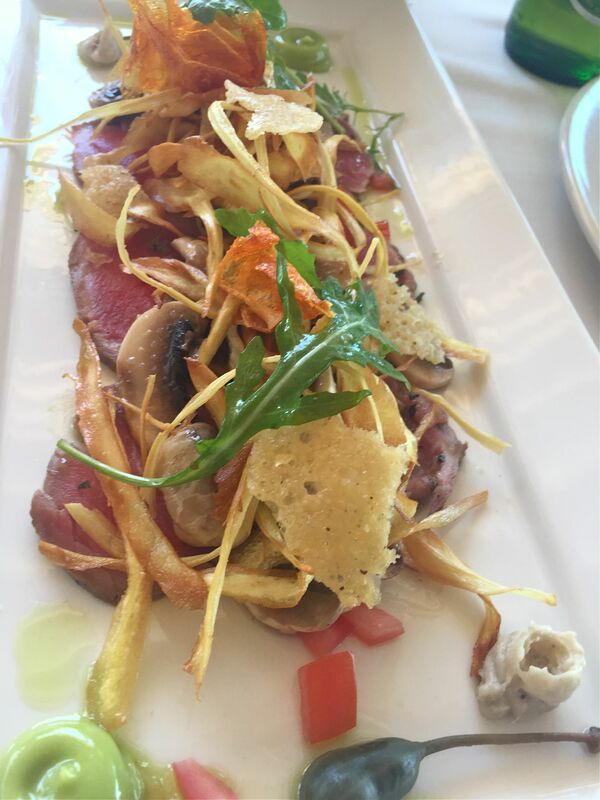 Their prime beef carpaccio is served with parmesan and parsnip crisps, parsnip puree and mini aragula. A great mix of flavours and textures. 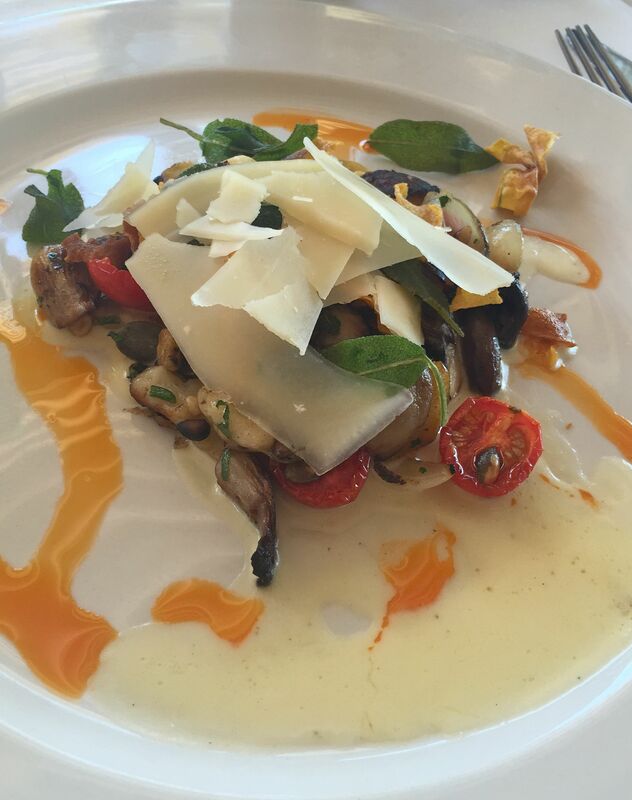 Also on the starter menu is this tasty plate of gnocchi garnished with roasted butternut, grilled artichokes, mushrooms, roasted pine nuts and a truffle parmesan sauce. 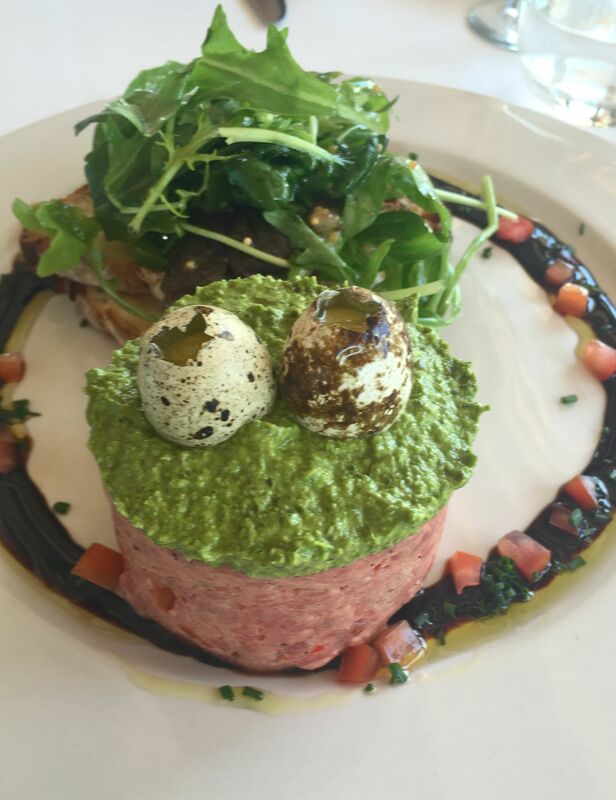 Another meaty option is the steak tartare which comes topped with raw quails eggs and a rocket salad on the side. Another beautiful plate of food. The seafood specials board offers a selection of whatever’s fresh. I couldn’t resist a couple of langoustine simply grilled. Sweet and satisfying. 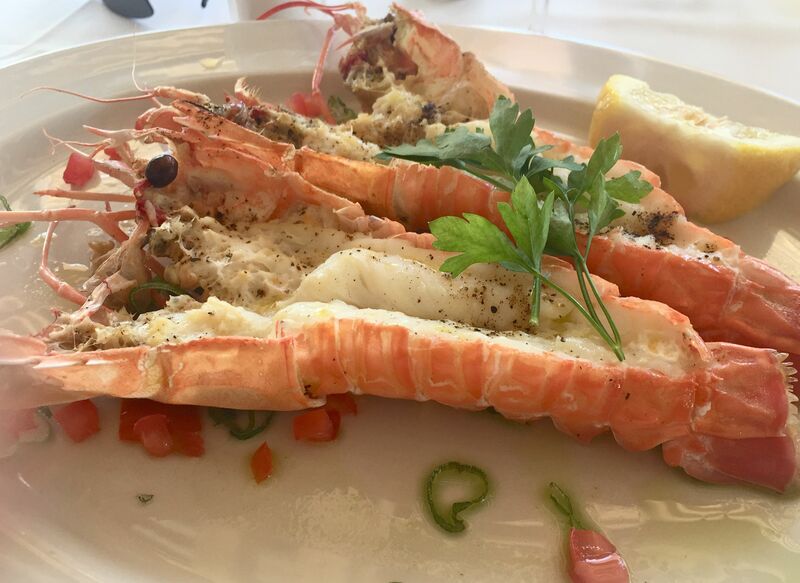 I’m always happy to spend a few hours at Harbour House indulging in a seafood extravaganza. And I believe there’s a new one opening up soon. Oh well, I’d better plan to test it out. Harbour House is at Quay Four, Ground Floor, V&A Waterfront. The seafood looks beyond delicious. Nice presentation too. It is such a lovely restaurant, their food always looks and tastes amazing.